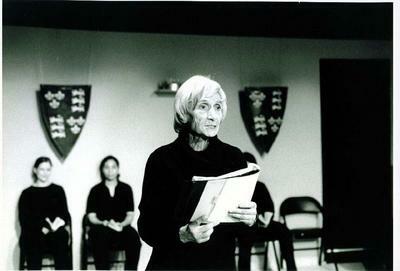 Irma St. Paule as Chorus. Photographer: Joanne Zipay. Chorus: “O for a muse of fire that would ascend / The brightest heaven of invention” (Prologue).